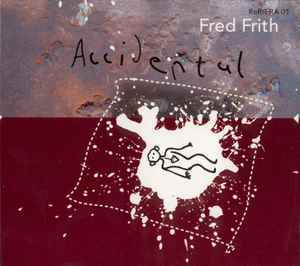 The first release on the new Fred Records has to be one of Fred Frith's most unique creations to date, as it's often a world away from anything he's done before, often more the type of album one would expect if Fred had joined forces with Robert Fripp. It may be subtitled "Music For Dance Volume 3", yet it would never suite any dance that I could imagine, no - this is "dance" as an art-form performance - abstract dance works, aptly accompanied by abstract music. Fred seems to be largely using a guitar with midi-control (maybe a Roland guitar synth, although nothing is specified) playing a variety of sounds perfectly co-ordinated with more normal guitar tonalities. Apart from some radio noise, we have a rich palette of fuzz tones, distortion effects, chilling organ tones, and all sorts of indescribable sound. It amounts to a unique form of picture music, surreal and visionary, a guitar album that's not really a guitar album, and music that's not always really music. Yes, it's a different world of expression, with only a slight edge of older Fred Frith "Guitar Solo" experiments. As an album, I love some of it, and some will grow on me, I'm sure. That's what this sort of music does, it lures you in, intrigues you, conditions your brain with each listen. I don't believe it was "Accidental" at all! "I'm fascinated by accidents. When I do solo improvisations I think of myself as being in continuous dialogue with the unexpected, and its always dynamic. Do I ignore this, do I embrace it, do I integrate it, do I keep my distance? When making this music I was constantly using random elements like radio tuning and trying to frame them in metric or harmonic structures."